I always look forward to Holy Week because it is looong weekend but we don’t have any family outing because we try to stay away from traffic and crowd. Normally, we don’t plan anything for Holy Week, we took advantage of staying at home, doing household chores or doing nothing. I noticed that every year we spent Holy Week in different ways but the only thing that my husband never fails to do since 2008 is to visit Caleruega Church. 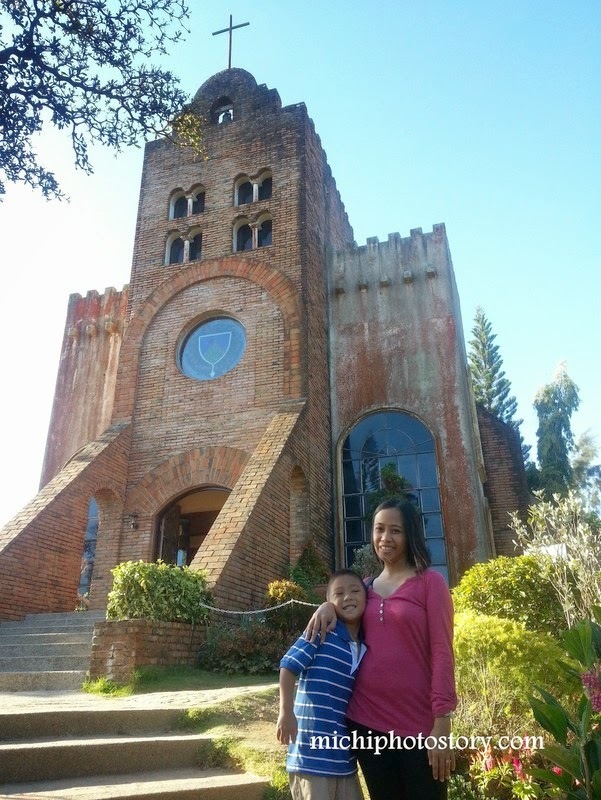 I was still pregnant with my only son when we started visiting this church and now my son already memorized the place, how to get to the church, station of the cross, koi and chapel. 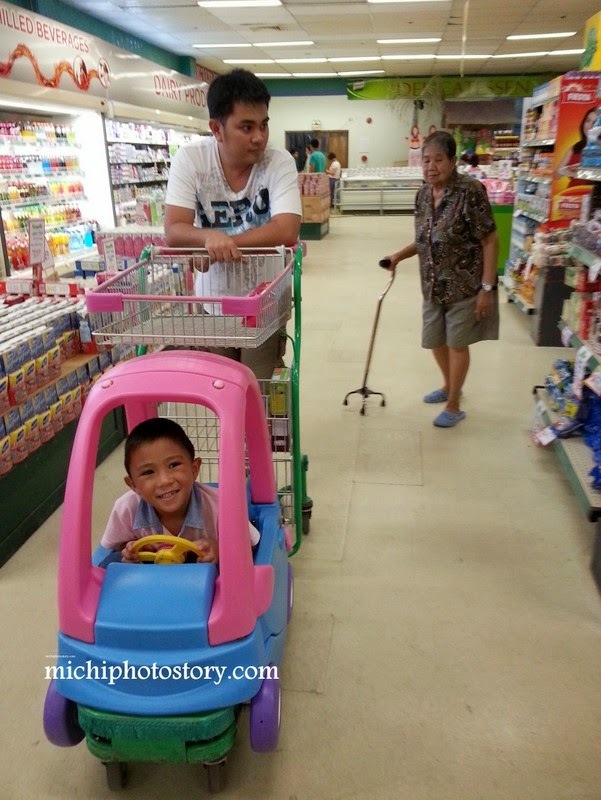 We also visited my grandmother in Victoria, Laguna, accompany her in the grocery and then went home. Yesterday was Easter Sunday and for the last few years I’ve been checking the Easter Egg Hunt in different hotels but whenever I compute for the price, nakakahinayang. I want my son to experience egg hunt so I was happy when my friend asked me “San kayo mag Easter Egg Hunt?” and when I told her na I don’t have a definite plan. 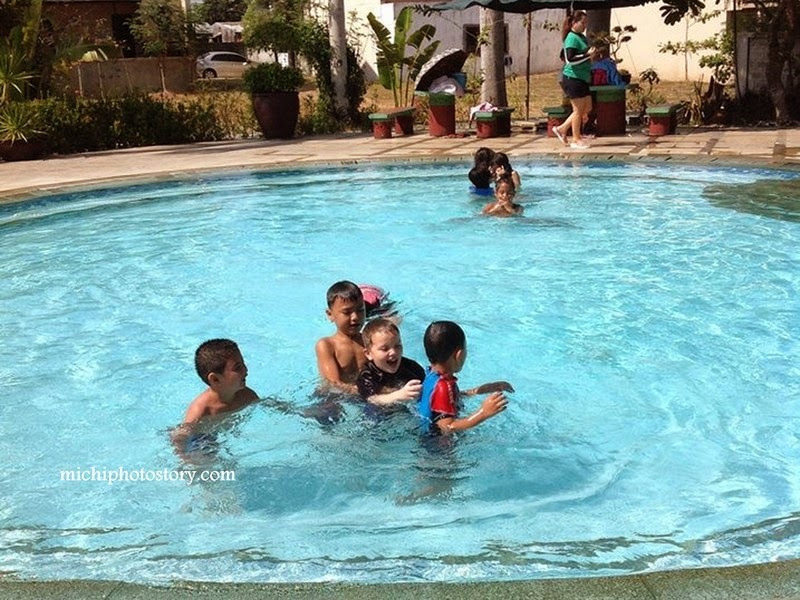 Initially, we wanted to attend the Easter Egg Hunt in Fun Ranch but we ended up planning for our own event. #hehehe! My friend prepared the Egg Hunt in their home, one friend bought prizes, one friend brought boiled eggs for Egg Painting/Coloring and each of us brought food to share. Mommy: Ethan, get ka ng maraming egg later ha. Then Ethan opens our fridge and putting all our eggs in his bag. Lol. 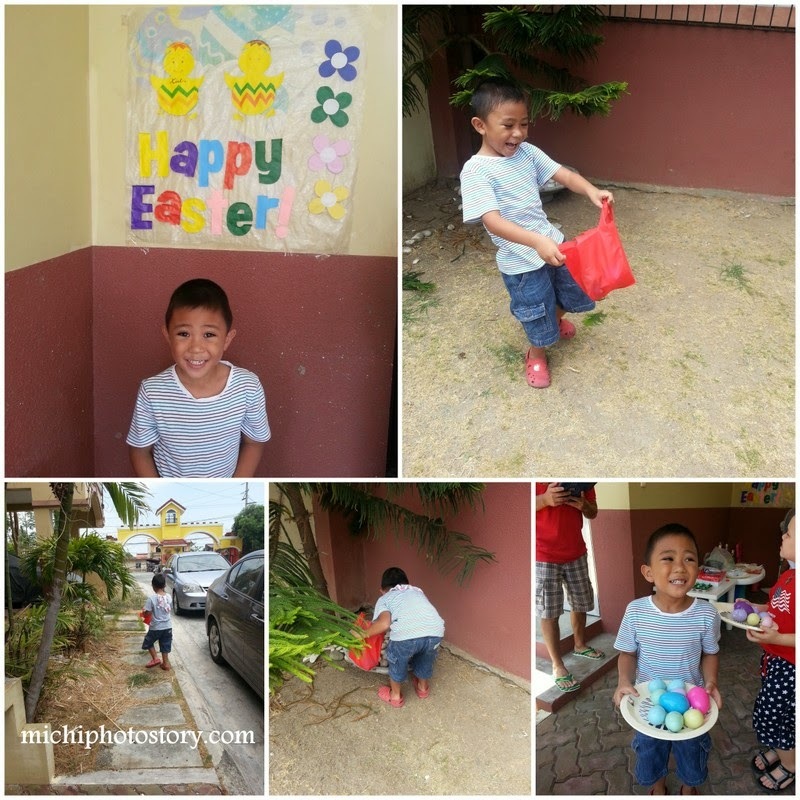 Obvious na la pa experience sa Easter Egg Hunt ang aking anak. But he really had fun and he got 9 eggs. After eating and hunting, swimming naman. We also wanted to visit sana Caleruega nung Saturday kaya lang mahaba lakad, di pa ako pwede masyadong maglakad kaya nag Pink Sisters na kami. Mahaba talaga lakaran sa Caleruega, kami nga hinihingal e.